This is Stanley. Stanley is our cat. He is a house cat. He stays in the house so he doesn't get hit by a truck. Stanley is 3 years old. 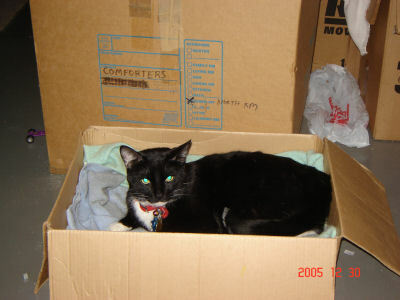 He has been with us for two years in Jan 2006. He picked us out at the shelter when he was 1 year old. 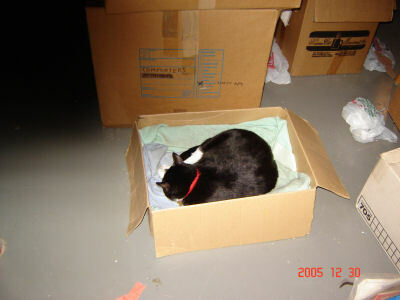 This is Stanley asleep in his box in the basement. 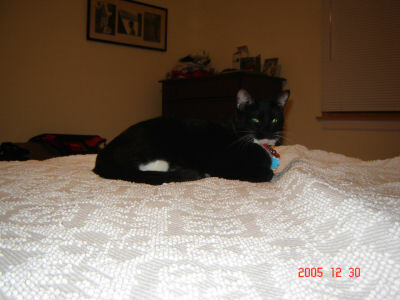 Here is Stanley on Mommy's Bed. This is his favorite spot. Here is Stanley in front of the Christmas Tree. 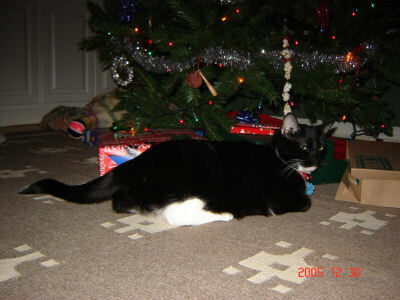 Usually, he is under the tree and trying to pull down the ornaments and lights. 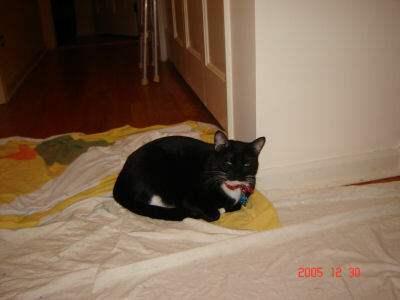 Daddy painted the hallway on Decemeber 30, 2005 and Stanley took a nap in the paint. Now the tip of his tail is white. 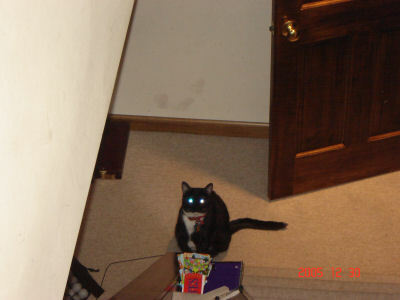 Here is Stanley at the bottom of the basement stairs, ready to pounce.